It may seem like having your pet around is just going to be fun and games, but with the right considerations, more and more companies may want to consider the benefits. Do you ever come home after a long, stressful day and pet your dog or cat? Just feeling their fur, having their presence close to you, you feel a sense of calm and relief. Who knows if anyone can explain exactly how this phenomenon works, but scientific studies back up the feeling that we experience. The International Journal of Workplace Health Management conducted a study where they looked at the stress levels of employees, and whether or not the presence of a dog made an impact. They did this by looking at the cortisol levels in the morning versus at the end of the day. The people who spent the day with a dog present had significantly lower stress levels at the end of the day versus those who did not. Keeping your staff happy and keeping the overall morale high are not always the easiest tasks to accomplish. When it comes to the overall success of an organization, retaining good employees is an important part of the formula. According to Fortune.com, 53% of people working in a non-pet friendly workplace would consider staying with the company if they allowed them to bring their pet to work. Many companies see the value in coworker bonding and create team building outings and exercises. People who are able to bond and get along are able to collaborate more effectively and essentially are more productive. Imagine what a difference a walk after lunch would do. Instead of having the post lunchtime crash, a quick walk with a dog outside in the fresh air could give employees a boost of energy needed to get through the workday. One study identified a great reason that people want to bring their dogs to work with them: they don't have to worry about their dogs being home alone. 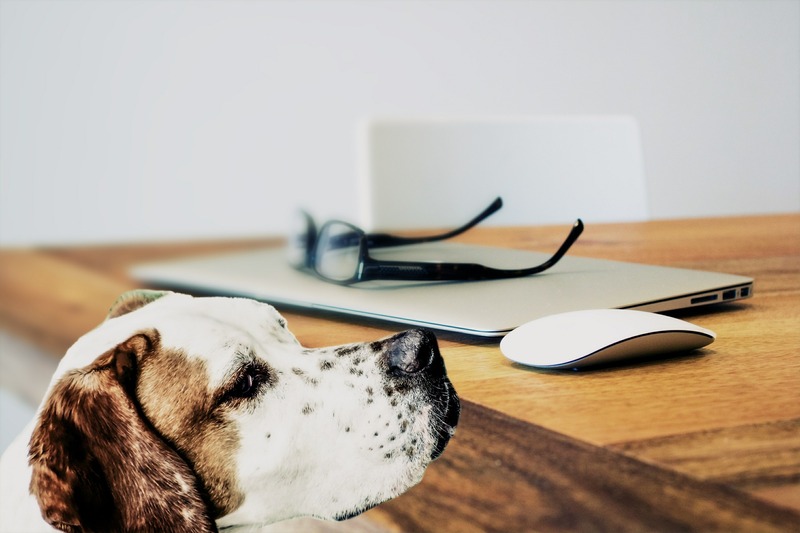 In some businesses, customers even enjoy seeing pets in the office, creating a good feeling that can positively impact the business's bottom line. Allergies: You want to be respectful of employees who do not care to be around pets, or may have allergies. If possible, these employees should have a pet free space to work in. Space: Will the workspace allotted to employees be conducive to bringing a pet? Some businesses have set up cubicles with special offerings such as doggie gates. Vaccinations and Flea Medication: The last thing you want on your hands are pets getting sick or flea infested from coming to the office! It’s important to have a system in place to check the medical records of pets that are coming into the shared workspace. Meeting New Furends: When new pets are introduced to the office regulars, it is a good idea to go slow, and have them first meet in a neutral area. This will hopefully defuse any territorial aggression. If you have any questions about your dog's health and readiness to spend the workday with you, please contact us!